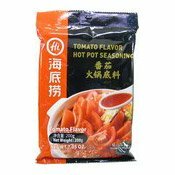 Ready to cook as a hotpot seasoning. Consume soon after opening. 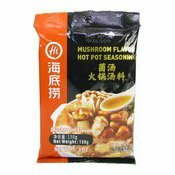 Allergy Advice: Contains Sulphite, Seafood, Crustacean. 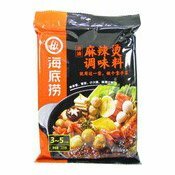 Ingredients: Chicken Fat Pack: Chicken Fat (Chicken Fat, Antioxidants (E319, E321)), Salt, Spice. 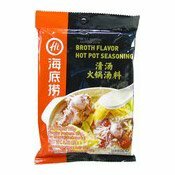 Bone Soup Base Pack: Bone Soup Base (Pork Bone Extract (Pork Bone, Salt, Water), Chicken Bone Extract (Chicken Bone, Salt, Water), Chicken Fat, Lard, Water, Salt, Flavour Enhancer (E621), Cooking Wine (Sulphite)), Salt, Spice. 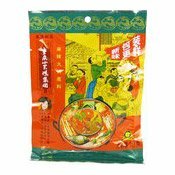 Powder Pack: Maltodextrin, Chicken Flavouring (Flavour Enhancer (E621), Salt, Sugar, Corn Starch, Maltodextrin, Flavour Enhancer (E635), Chicken Powder, Bone Collagen Powder (Pork Extract, Spice), Yeast Extract, Flavouring, Colour (E160a)), Flavour Enhancer (E621), Salt, Seafood Flavouring (1%). 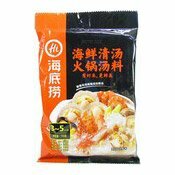 Dehydrated Ingredients Pack: Dried Shrimp (Crustacean) (3%), Date, Wolfberry. 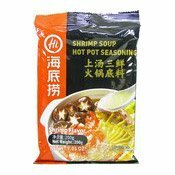 Simply enter your details below and we will send you an e-mail when “Hotpot Soup Base Seasoning (Seafood) (海底撈海鮮火鍋底料)” is back in stock!